Haha just don't worry xD I just wanted to find out what the current situation is like. There are unanswered questions about custom loot and opening an issue doesn't make much sense at the moment. The whitelist is autofilled in with '0' if i leave it blank? I love this mod! 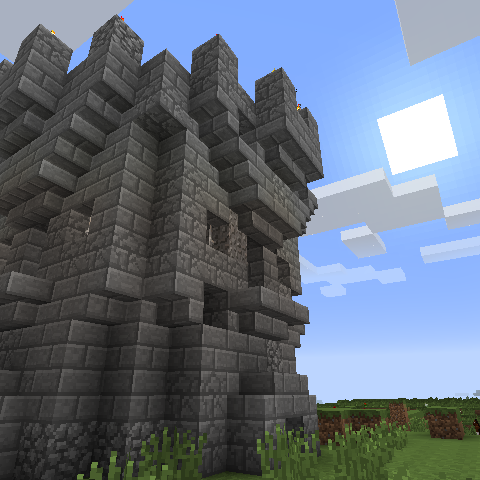 May favourite mods are ones that seem to fit in with Vanilla Minecraft - like this one! I love them, they are exciting and a challenge, but when doing 3 or 4 they become very repetitive. They need random generation or more models. Hello all, i am wondering if there is a way to create a dungeon using nucleus in which just spawns a flat world with dungeons in it? if so how would i go about doing this? thank you. spawnFrequency=10 to get the absolute maximum amount of dungeons spawning? May I use this mod in the modpack I'm working on? Is it at all possible to configure what items are in the "weapon/tool/armor" sub categories? It would be handy to be able to insert modded items here. Sounds like your trying to run a .zip with a .jar inside it. Extract the .jar out of the .zip file and try again. Try configuring the dungeons to be completely random. That way it becomes less predictable. I can't for the life of me find the config file for the mod. Is it under some name other than roguelike or something? In your config folder there should be a folder: roguelike_dungeons. There is roguelike.cfg where you can configure the mod. Can anyone help me with making custom loot table or how is it even loaded? I know it is supposed to be in settings folder and I tried downloading demo and adding items myself but they just would not spawn in chests. EDIT: I wanted to add spawn for chests from MegaLoot mod.